Advertise vacancies and accept applications from your website. See documents here for full details, screen caps, support etc. You are fully protected by our 100% No-Risk Guarantee. If you don’t like our plugin over the next 14 days, we’ll happily refund 100% of your money. No questions asked. 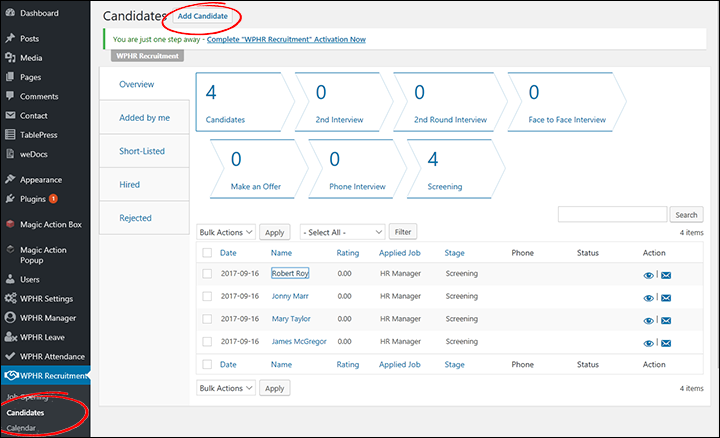 Add a recruitment portal and Applicant Tracking System to your WordPress website. Create vacancies and advertise them on your site. Accept online applications with CV uploading and vacancy specific applicant questionnaires. 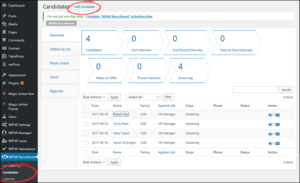 Track applications through your recruitment process with your own bespoke workflow. 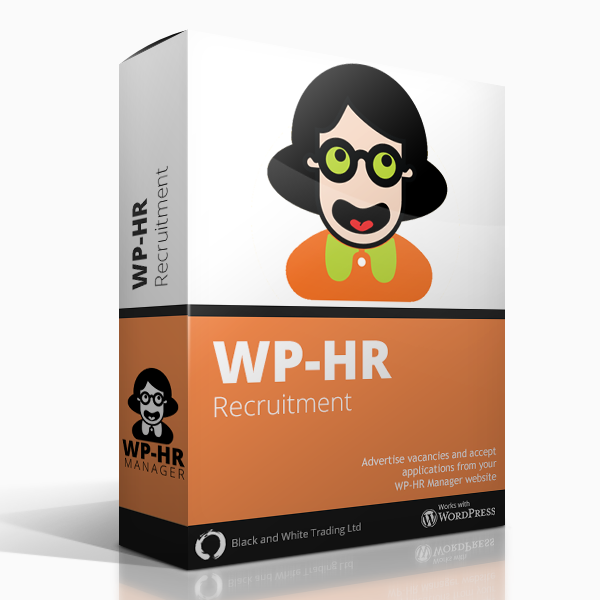 Follow the success of your recruiting with a range of reports (requires WP-HR Manager Pro).